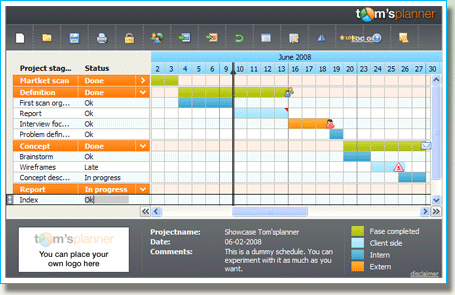 Tom's Planner: real-time collaboration in a web-based project manager. So here’s the part where I get to admit to a few things. First off, I don’t use project management software. Secondly, I’m hugely unorganized and I should probably use project management software. So what better reason to talk about Tom’s Planner than to tell you all how I’m delving into it myself in order to get a handle on things? That being said, I’m obviously approaching this as a newcomer, so we’ll look at Tom’s Planner from that standpoint. From what I see, it’s a rather intuitive, web-based solution that will take your project and turn it into a planning schedule. Pretty nifty, so let’s dive in. Tom’s Planner is a new spin on a Gantt Chart. 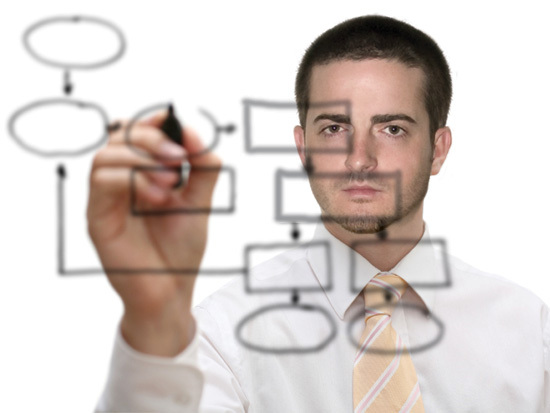 You’ve likely used a Gannt Chart even if you didn’t know that you were. They’re somewhat of the standard way to manage your timeline on a project. The magic of Tom’s Planner, however, lies in the right click. Once you’ve set up the various portions of your project, and set them into your timeline (You’ll notice that I didn’t spend any time explaining this. That’s because it’s intuitive and simple and really needs no explanation.) you can right-click on any section to move it around, add notes or change its details. The click and drag function, where you can grab an entire group of timelines, is especially handy. Let’s say that your project has a setback and you have testing that needs to move one week forward. You can lasso an entire section of testing and just drag it into place. Now, let’s talk about the new features, and why Tom’s Planner is on TNW this time around. Six months ago, when Tom’s Planner launched, it set many people on the right course. But the demand for sharing and collaboration was strong. In any project, collaboration is key. Seeing where other people are in their timeline can help you to adjust your own accordingly. Since it’s all web-based, no local software other than a browser is required. You can set up teams, view schedules and even change access levels for individuals in your team. As for reports? They are available en masse. You can export to a number of programs, formats and even print directly from Tom’s Planner via PDF. Are there other choices out there? You bet. But the issue is that users can quickly reach the limit of what those choices are able to do. With Tom’s Planner, companies can work together regardless of location and they can do so in a way that just makes sense. Tom’s Planner will be in beta until the end of July, but it’s available for sign-up and use now. For those who take the plunge, there’s a free first year in it, just for helping the company to iron out any remaining issues.